Imagine a cosy shawl or cowl made from this? Crisp white melds into a cool grey, then shades of blue from soft to navy, and finally into charcoal. All on a luxurious blend of USA Targhee with shiny ribbons of bamboo and mulberry silk! 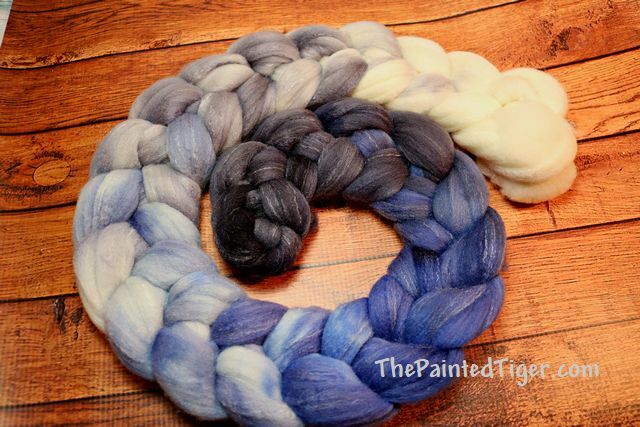 Hand dyed with Lanaset professional dyes for the best wash and light fastness.